V enice, rife with juice bars and gluten-free bakeries, is arguably one of Los Angeles's most carbophobic neighborhoods. 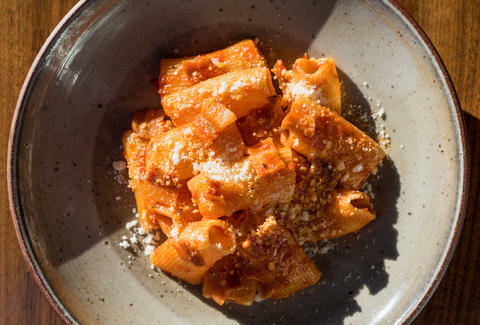 But on a quiet stretch of Abbot Kinney Boulevard, abutting a vegan culinary school, sits Felix, chef Evan Funke's paean to pasta. Though antithetical to the area's stereotypical dining ethos, the Italian restaurant is constantly packed. 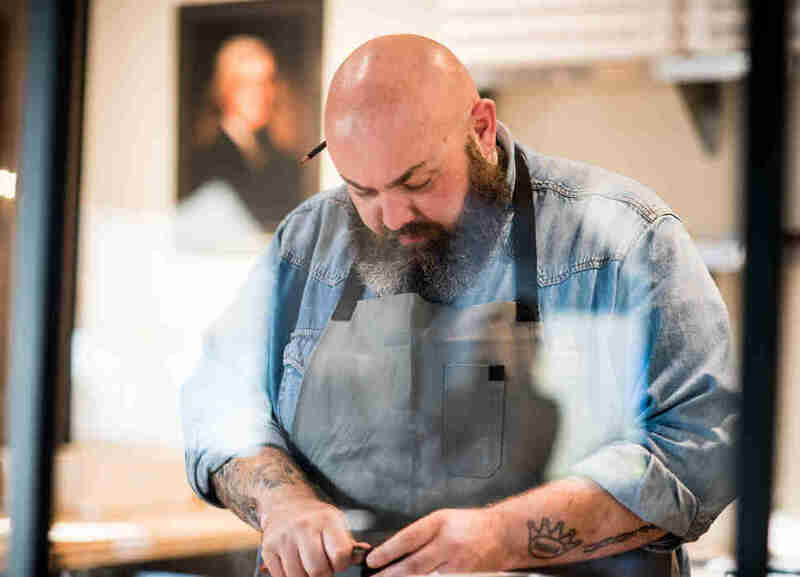 Felix is Funke's return to the Los Angeles restaurant scene after his surprising departure from the now-closed Bucato, where he first serenaded the city with his ability to ply dough into twists of fresh pasta, in 2015. Funke, our Best Chef in Los Angeles 2017, took a two-year hiatus to travel back to Italy and cook through villages both familiar and new, where he mastered the casalinga, or housewife, style of cooking. "That's how I cook, because that's who I learned from," says Funke. "None of this is from a male." The culmination of his time in Italy is Felix. 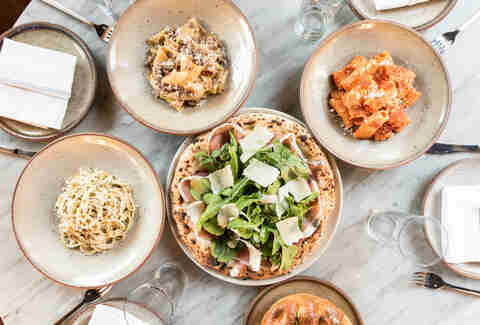 While technically a trattoria (antipasti, pizza, and entrees also have menu real estate), it is more accurately a temple for all-things pasta. Arriving on a sleepy Tuesday evening in September, I walked into a stylish space true to Funke's vision of exuding the charms of your grandma's house if your grandma was Sophia Loren. Maneuvering to Felix's host stand required a lot of polite and purposeful elbowing through the crowded dining room, and even with a reservation (which you should most definitely get), there was still a small wait. The galère, like me, were all there for the same reason: a chance to eat their way through plates of Funke's handmade pasta. Funke exclusively uses flour from Italy, milled specially for the restaurant, shipped via boat. Upon arrival, the flour is promptly whisked away to a temperature-controlled room to begin its acclimation to its new environs. It sits for 30 days before Funke even thinks to use it. Finally, off in the glass-walled pasta-making area that anchors the dining room, every single noodle is shaped by hand on ample wooden surface space, embodying the restaurant's favorite hashtag, #FuckYourPastaMachine. From 6:30am to 10pm every day, the pasta room is staffed by someone making one of the 12 shapes sold at the restaurant. "I never put a pasta on the menu if I haven't literally been to the physical place, seen it done, and shaken the hand of the grandma that made it," says Funke. "I don't take inspiration from books. I go to the place and see the original, and I learn the pasta from somebody." It's easy to describe Funke as an eccentric, mad-scientist type, but he is less a student of experimentation than he is of perfection. His disciplined approach is at an intensity usually reserved for the most pious monks. Funke no longer considers himself to be a chef, instead fulfilling a higher calling as a "custodian of deeply-rooted Italian culinary traditions." He adds, "I don't really cook that much anymore. I make pasta, I teach, and I mentor." His studies have resulted in flawless plates of cacio e pepe with toothsome coils of tonnarelli; hearty piles of troife, with vibrant green pesto clinging to each turn of the twisted noodles; and masses of convex and chewy orecchiette gently tossed in a meaty sausage sugo. There's tubes of rigatoni all'Amatriciana so eye-catchingly wide that my dining companion and I gasped when a server walked by with a plate. "The big noodles! We have to get the big noodles," I exclaimed in a temporary lapse of memory. Each pasta comes from one of four regions of Italy -- the north, the center, the south, and the islands -- arranged as the centerpiece of the menu in geographic quadrants. It's Funke's Tour of Italy, a version more flavorful and al dente than Olive Garden could ever hope to muster. You will not find unlimited breadsticks at Felix either. Instead, small loaves of Sicilian-inspired focaccia called sfincione are delivered to tables. 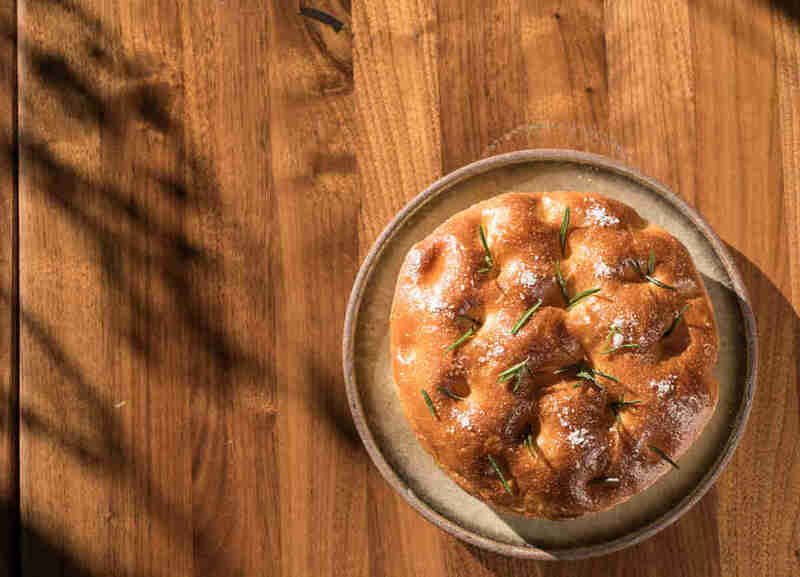 The airy, bubbly folds of bread dissolved in my mouth into a vapor of oil, salt, and rosemary. The recipe took Funke 10 years to master and tasting the denouement is nothing short of ethereal and addictive. "We sell out of it each night. I can make a hundred and it would just sell out," Funke says. It's not unheard of for tables of two to add four loaves of the sfincione to their checks -- a strategy I plan to employ next time. Khushbu Shah is the Senior Food Features Editor at Thrillist and insists that you order the cacio e pepe and sfincione when you go to Felix. Follow her travels to the best restaurants around the country @khushandoj.